Perfect for the big day! This classic lace garter is the perfect wedding surprise! 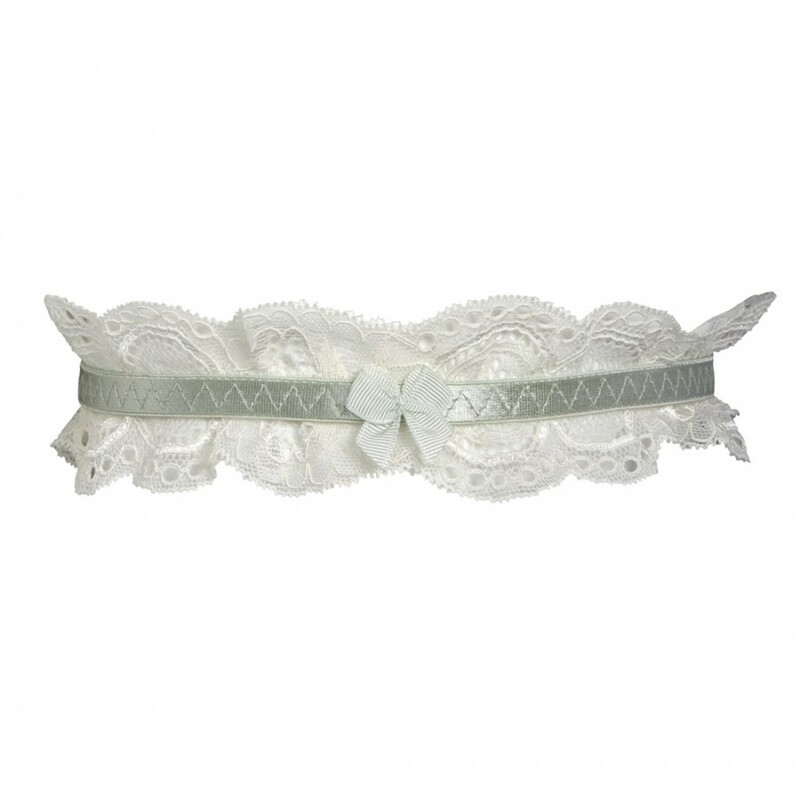 Grosgrain ribbon in mint surrounds the pretty lace garter which is finished with a miniature, delicate bow.